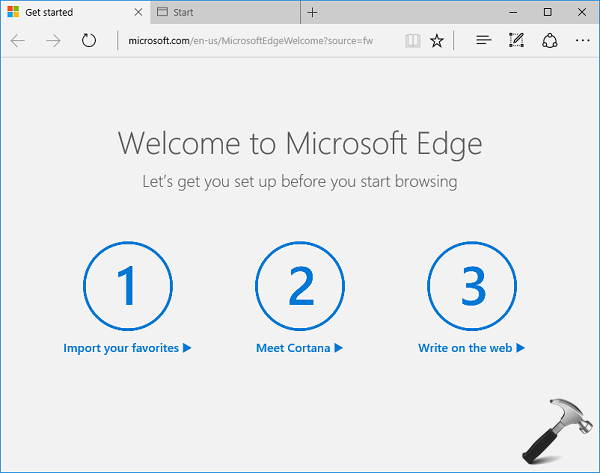 To disable Microsoft Edge first run you have to jump through a few hoops. Luckily i’ve done this for you. Next, create a folder (collection item) and within in add all the items above from HKEY_CURRENT_USER. 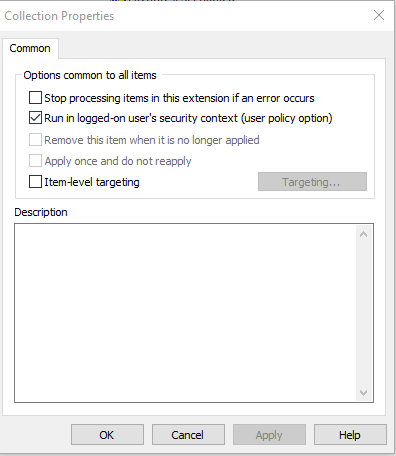 Once added, right click on your collection folder, navigate the “common” tab, and select “Run in logged-on users security context (user policy option)” . And thats it, with this set users should not see the “first run” edge wizard. Further configuration of edge can be made from Admin Templates>Windows Components>Microsoft Edge. Next Post Suppress Office 365 "First Things First"
Why this has to different values? I've made a gpo with all of these settings. when a user logs in keys aren't created. when running gpupdate /force withinn the loggod on user that the keys are created, so the gpo seems okay. Seems like the policy is running to soon or such. Run the GPO in users context. You can set this Option on the preferences settings.